At the law office of George C. Wilber, I get to know my estate planning clients and how they think. I take a complete inventory of every asset and liability to determine the wishes of the primary estate holder. Then I review the complete family including children, grandchildren, siblings, and, in the case of a family business, the key employees, banks, financial consultants and investment advisors. Part of providing personal service for our estate planning and probate administration clients is educating them about the many options available, and to the many considerations that should be taken into account as one conducts succession planning. In keeping with that concept, I have provided this information for your benefit. 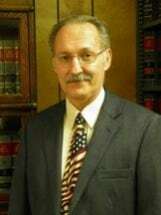 George C. Wilber has a tradition of personal service, and a history of providing quality legal advice to clients in and around the Port Clinton, Ohio area. Please call or contact George C. Wilber to schedule an appointment.